And I’ve found mindfulness to be the key to changing patterns for a happier and healthier life. We are what we do repeatedly; and I’ve found mindfulness to be the key to changing patterns for a happier and healthier life. 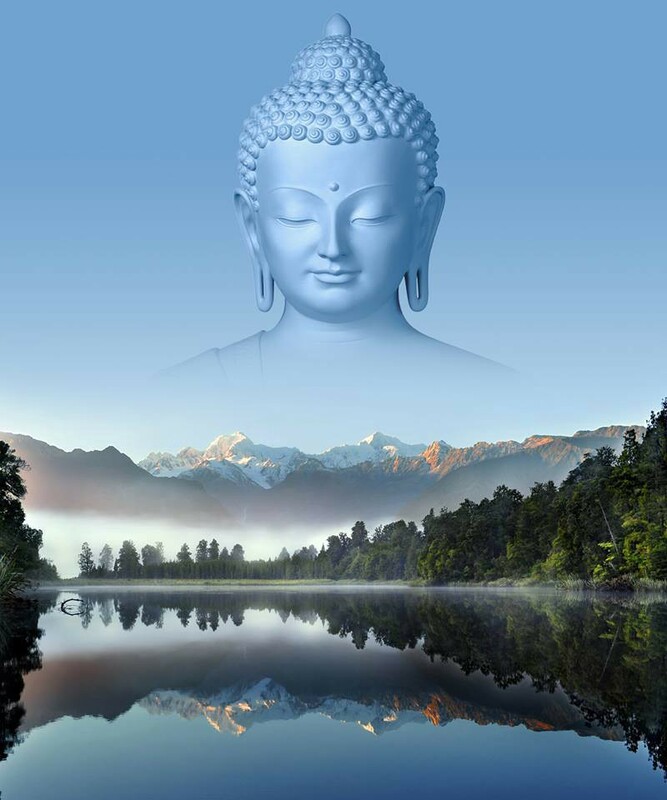 According to the Buddha, identity begins with the mind and is then carried out through deeds which become habit and then becomes our character. As a mental health and addiction counselor and life coach, I help people on a daily basis who want to change aspects of their lives. They usually come in focusing on thinking patterns, behaviors, symptomatic physical and/or emotional states or interpersonal struggles. But the truth is, as humans the problem never lies in just one of these things. Our character, personality and identity are constructs that live in our memories of past experiences. What we do daily can be broken down into what we think, feel; both emotionally and viscerally, do/behaviors, how we relate to ourselves and how we relate to others. I have outlined ways in which we can structure holistic change simply to become who we want to be. Because all of our parts are intricately connected, when we are working on one area the others are automatically affected in positive ways. Hint: it’s all about letting go and getting curious! We are what we think: Mindfulness is the first step to change our thinking. Mindfulness itself is a very simple concept, however, in practice it is extremely challenging at first. This is because mindfulness is learning to observe and accept what is without trying to judge or force anything to happen. It can begin with a short daily practice of observing with curiosity, letting go of our desire to change or understand, and allowing all that you experience move through you. I’m reminded here of the phrase, Let it be. While we’re not trying to change thinking, we are setting an intention not to follow negative thinking patterns. You may want to look for books about mindfulness or local classes or groups offering a mindfulness meditation practice. There is so much that we can’t control in life but we can learn to control our thinking. Paradoxically, this begins with practicing letting go of our desire for control. Although many thoughts are automatic, we can learn to watch those thoughts without getting hooked and use positive mantras to create new memories and pathways of positive and thinking patterns. We are what we feel: Mindful awareness of our thoughts isn’t enough because humans are more than just thinking creatures. We are also feeling and relational creatures. We can, however, utilize mindfulness to increase emotional and somatic intelligence. This can be difficult at first as our culture hasn’t traditionally taught us to value emotions or feelings. Just as we have automatic thoughts that cause us pain and discomfort, we also sometimes have automatic feelings or triggers which cause us pain or discomfort. Mindfulness requires not only getting into our thoughts and emotions but also getting into the body. Through mindful awareness we can increase tolerance for emotional and physical discomfort. With increased emotional and physical tolerance we can learn to let the feelings move through us for an optimal release. When we try to repress and avoid discomfort we actually increase our physical and emotional pain. There are also great books and classes out there to learn emotional and body intelligence. Yoga and other movement exercises can help us to learn mindfulness while coming into the body. Traditional therapy is always a good tool for increasing emotional intelligence and therapeutic modalities are increasingly incorporating mindfulness and body awareness into them. We are how we relate to ourselves and others: On the surface these seem like very different things, however, when we look closer at relational patterns we see that we often relate and react to others through projections. So if we are judgmental, critical, disconnected or distrustful towards ourselves we are more likely to be judgmental, critical, disconnected or distrustful towards others. We can change our relationships by practicing compassion, genuine interest, connection and trust, starting with ourselves. Again, mindfulness is the way to awareness, and by practicing awareness of automatic thoughts, emotions and triggers as discussed above, you are already increasing your awareness and tolerance! Practice being mindful of how you talk to yourself, how you relate to yourself, how you connect to yourself. Speak gently to yourself. Focus on your strengths; times when you have acted in alignment with your vales, and times when you made good decisions in order to cultivate self love, esteem and trust. You may want to find books, classes or other resources to help. Loving kindness meditation is a popular method of exercising your love muscle. Implementing daily and weekly self care practices or volunteering can create positive connective experiences. It is also important to purge your circle of toxic people. Relating softly with a person who isn’t safe for you has detrimental consequences. Mindful awareness will naturally increase your awareness of who is toxic, what relationships are worth working towards reconciliation, and what relationships to let go of. But it’s always okay to let toxic relationships go and mindfulness practices can help us to make these difficult decisions by increasing self awareness, esteem and trust. If you find any of those too difficult or challenging you may want to find a counselor or life coach to help you to identify what gets in the way. But remember that change is a slow and intentional process. Expecting perfection is the opposite of mindfulness. Often when we begin practicing mindfulness it’s uncomfortable as negative thoughts, feelings and physical sensations come up. The key is to not attach or judge when this happens. Just breathe and accept and welcome everything that arises. This is all good information. You may want to journal after a mindfulness practice to identify what needs to move and be released. As you practice any of these techniques they are automatically incorporated into your experience and progress is not only organic, but inevitable! I’m a licensed professional counselor and life coach specializing in addiction and developmental trauma. I have experience working in inpatient and outpatient settings with both mental health and Substance abuse. I’ve also taught therapeutic yoga and mindfulness classes and worked as an adjunct professor teaching chemical dependency. I’m the proud single mama of one little girl and two fur babies. I have a passion for helping and empowering others. I’m a trained cognitive behavioral therapist and I’m also trained in the Neuro Affactive Relational Model. In addition, I draw on narrative, existential, somatic and Buddhist psychotherapies. I believes that therapy is a creative process where you are the artist, the author and the expert of your own life.